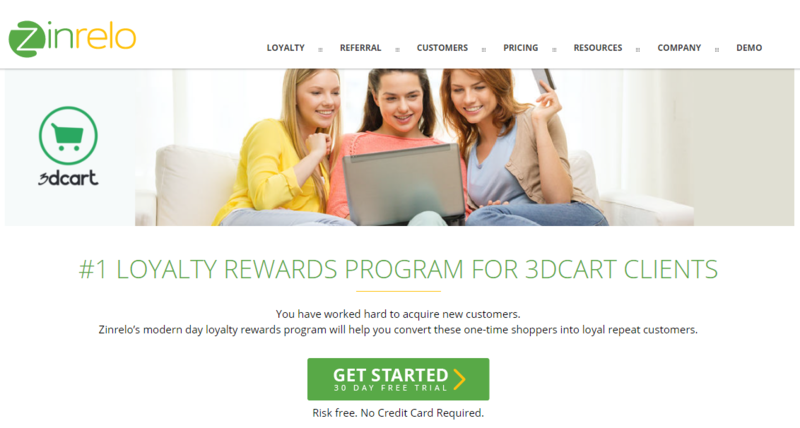 Instructions to setup Zinrelo's basic loyalty program on your 3D cart store. Zinrelo has partnered with 3D cart and integrating Zinrelo's basic loyalty program with 3D cart doesn't require any technical knowledge. Search for the Zinrelo app on the 3D cart app store and click on "I want this app" to install Zinrelo's app. 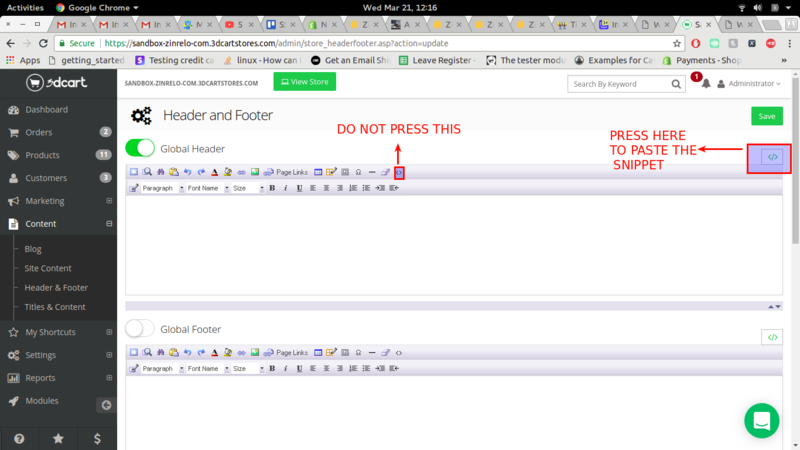 You will be directed to the 3D cart integration page on the Zinrelo website. 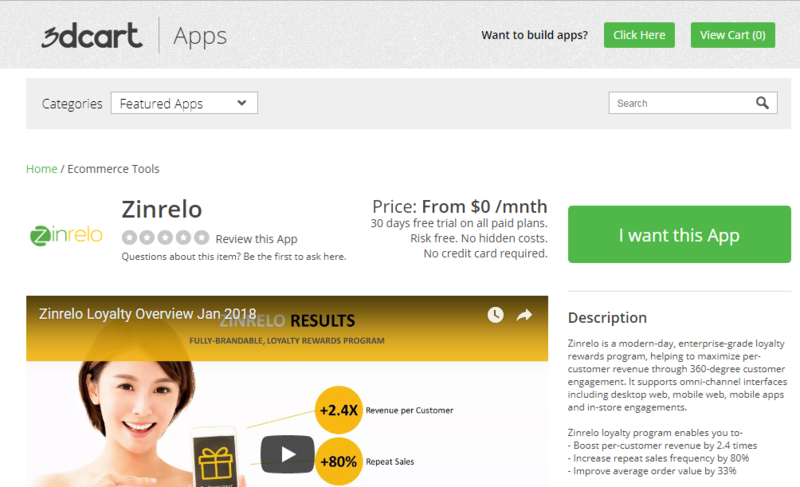 Click on the "Get Started" button to install the Zinrelo app. Note that it is important that you click through the Zinrelo app listing on 3D cart to land on the Zinrelo site. If you visit the 3D cart page on Zinrelo site directly then we cannot capture some required information about your 3D cart store. You will then be redirected to https://app.zinrelo.com/store/signup to create your Zinrelo account. After this, you will see 7 steps of Zinrelo's setup wizard. The first six steps of the wizard help you with the design of your loyalty program. Help articles are provided for each step. If you are unsure of the input for any of the steps you can always change it later. 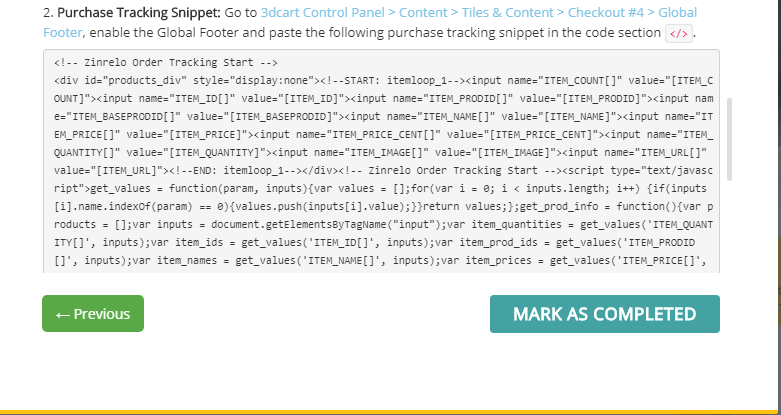 A common mistake made while adding the snippet:The button you need to use to paste the script looks similar to the one used to add a comment to your page. Use the appropriate button as indicated in the screenshot below. Note: The code snippets and instructions are available to you even after you complete the setup. In the Zinrelo admin console, visit General >> Integration section for these details. 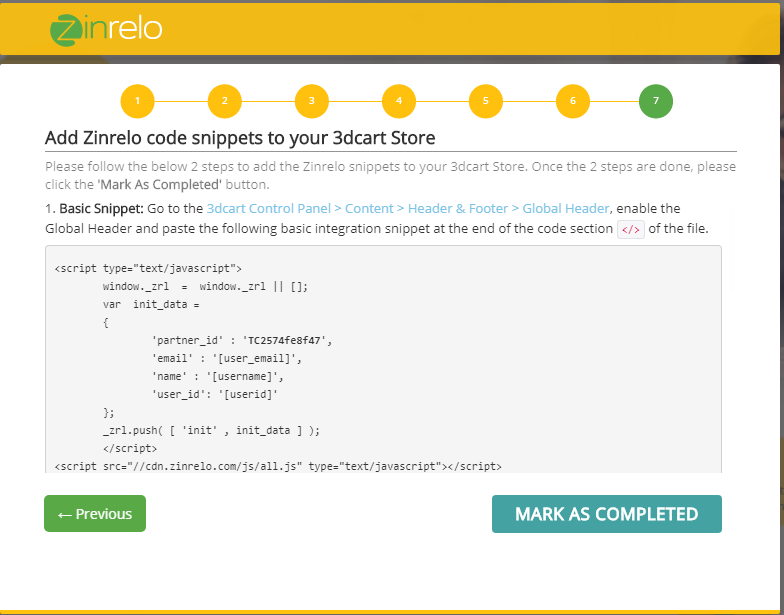 After you have added the 2 code snippets to your 3D cart store, you can configure your program from the Zinrelo admin console and launch the program when you are ready!